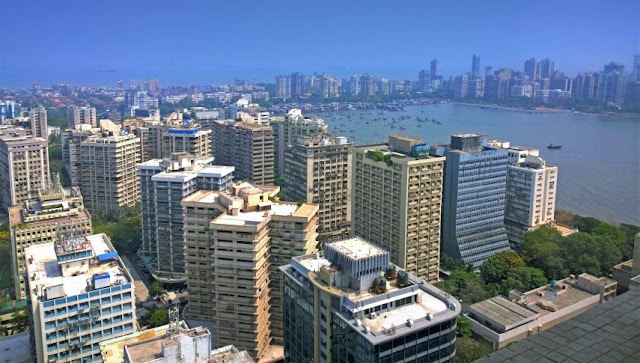 Mumbai always has been notorious for its soaring property rates. There are so many housing projects around and prices are increasing every day. So, it is not easy to buy an affordable home in Mumbai nowadays. If you are still looking to make an investment in Mumbai real estate, Mira Road is emerging as one of the popular destinations. With the high property rates in Mumbai, Mira Road has projects like JP North, Mira Road which promises apartments that are affordable and have all the amenities. The entire JP North, Mira Road area is spread across 27 acres of land. It has more than 2,500 units comprising 1BHK (750 sq. ft), 2BHK (1,100 sq. ft), and 3BHK (1,500 sq ft) apartments. JP North, Mira Road is a modern neighbourhood. But it also envisages a self-sustained and elaborate future plan for a complete township. Since it is a big project, it is divided into four towers: JP North Celeste, JP North Atria, JP North Estella, and JP North Elara. The property rates in Mumbai do not seem to go down. So, it is a plus if you can get an affordable house designed with the help of renowned architects and consultant companies with experience of over 100+ years. The JP North Mira Road project is consulting IIT Bombay about installing solar panels. The JP North, Mira Road project is close to Ghodbunder Road and is easily connected with the expressways. It is also very close to Mira Bhayander Road, where the new metro line is expected to come up soon. Now, let’s move on to the amenities at JP North, Mira Road. First of all, there is a CBSE school within the property. Your kids will have a worry-free journey to school without fear of getting late in traffic or irritation caused by pollution. There will also be a big heart hospital here soon, with doctors 24 hours on call for emergencies. The builders are in talks with Asian Heart Hospital. Mira Road has become a popular spot for entertainment, malls, eating spots, colleges, and hospitals. Though property rates in Mumbai have come to a standstill, in Mira Road they are expected to rise for another three to four years. This is thanks to affordable houses and lots of open space. Now would be the right time to invest in a dream home in Mira Road. You can even avail home loans with easy repayment terms. Not just banks, lenders like Bajaj Finserv Homes and Loans of up to Rs.3.5 crore. JP North, Mira Road is being built by JP infra Mumbai Pvt Ltd. The company has been providing retail, commercial, and residential properties across India for decades. The entire project is inspired by Spanish architecture. You will find beautifully carved pillars, fountains, and statues to add to the aesthetics of the township. The project boasts of world-class amenities that include a swimming pool, community areas, play areas, several gardens, walkways, and shaded sitting areas. You will not have to take membership in any fancy clubs to spend time with your family outdoors. The project’s connectivity with the Eastern Expressway and the Western Expressway makes it a good choice if you need to commute. You could easily travel to BKC and to Lower Parel. Besides, many business parks and IT companies are opening their offices near Navi Mumbai. You could enjoy hassle-free travel from your home on Mira Road compared to other localities. Besides, homes in the area are appreciating in value. The sooner you buy, the more benefits you are likely to reap. I am professional blogger and a learner. I would like to improve my own knowledge and skill there by sharing my views and thoughts with others. Buy CA Atra 10mg Online is used to treat acute promyelocytic leukemia (APL; a type of cancer in which there are too many immature blood cells in the blood and bone marrow) in people who have not been helped by other types of chemotherapy or whose condition has improved but then worsened following treatment with other types of chemotherapy. I'm a blogger. I'm passionate at Beauty, Travel, Fashion. This blog is a place where I want to skill by sharing my views and thoughts with others.